As I finished up the last workout of the first block of the Workout From Hell I was reminded that John Bachar died one year ago. Bachar was a climbing legend, arguably the best climber in the world in any given period between the late 70s and mid 80s. 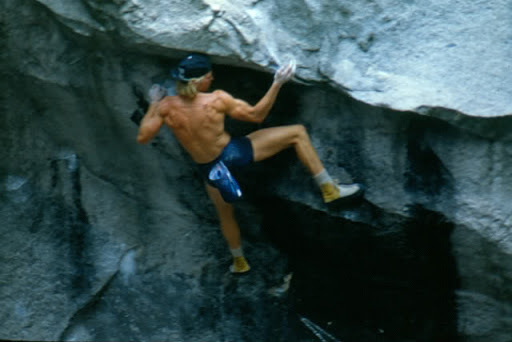 He was also one of the first climbers who attempted to utilize cutting edge sports science and apply it to rock climbing. 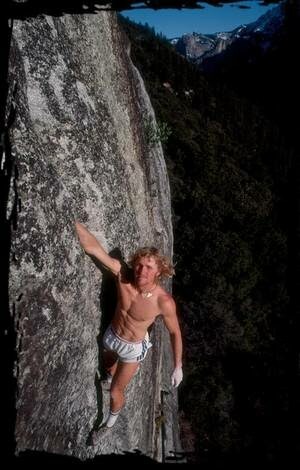 No remembrance of climbing training past would be complete without a nod Johnny Rock (click here if you’d like to read my personal obituary). 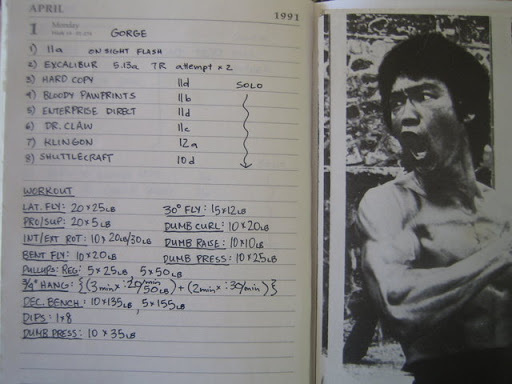 I’d like to thank eMurdock (whom I don’t know) for posting this image of one of Bachar’s training logs over at mountainproject. Written in ’91, years beyond the time he was establishing cutting edge routes, Bachar was still training like a youngster at the top of his game. In fact, his tick list of solos for this given day was still state-of-the-art for its time. Milk Is For Babies. I Drink Beer.